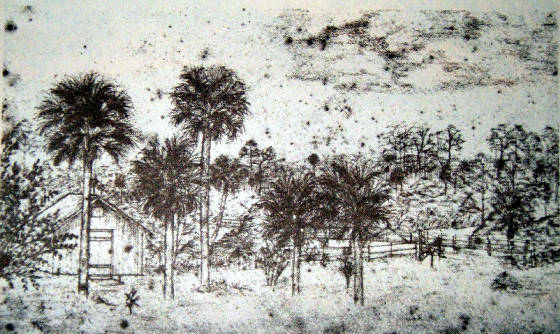 In Early Estero, author Quentin Quesnell wrote that when the Spanish came to Mound Key near the mouth of the Estero River in 1567, they found the thriving capitol of the native Calusa Indians. By the 1700’s, the dwindling Calusa had fled to Key West, then Cuba, leaving the area to Cuban fisherman, outlaws and pirates. Around 1850, Army records show that most of the coastal mainland was under 3 to 12 inches of water. Once the water table was lowered, the first homesteaders arrived. 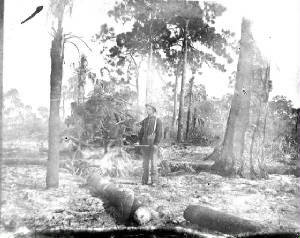 In 1882, German born Gustave Damkoehler after living in Australia and Missouri brought his young family to the banks of the Estero River to grow silk worms and raise honey bees. The 1885 census showed nine families in the area. 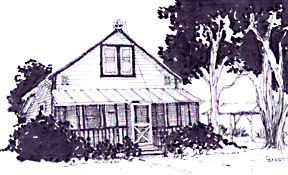 Frank and Mary (Whitten) Johnson officially registered Mound Key as their homestead in 1891. Archeologist Frank Hamilton Cushing described the shell mounds there and on the mainland near the river in 1895. In 1894, Damkoehler transferred his land to Dr. Cyrus R. Teed, the charismatic leader of The Koreshan Unity, a utopian society which offered complex religious, social and economic solutions for problems of the time. Often highly educated, they valued celibacy, temperance, equality of men and women, racial equality, education, the arts and industry. Formerly centered in Chicago, the Koreshans moved their commune to Estero, including grand pianos and printing equipment. One product of their first rate Guiding Star Publishing House was The American Eagle which evolved from a widely read regional newspaper to a respected far-reaching horticultural journal that often featured the works of botanist Henry Nehrling. The history of this group, which survived until the early 60s, is interpreted at the Koreshan State Historic Site, a national historic district. 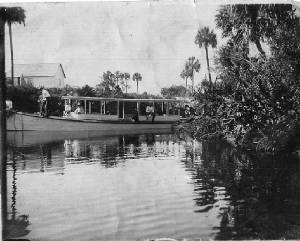 After the big freezes of 1894-95, citrus growers rushed to buy land along the river. The largest of these was Daniel A. G. Floweree, a wealthy cattleman from Montana. 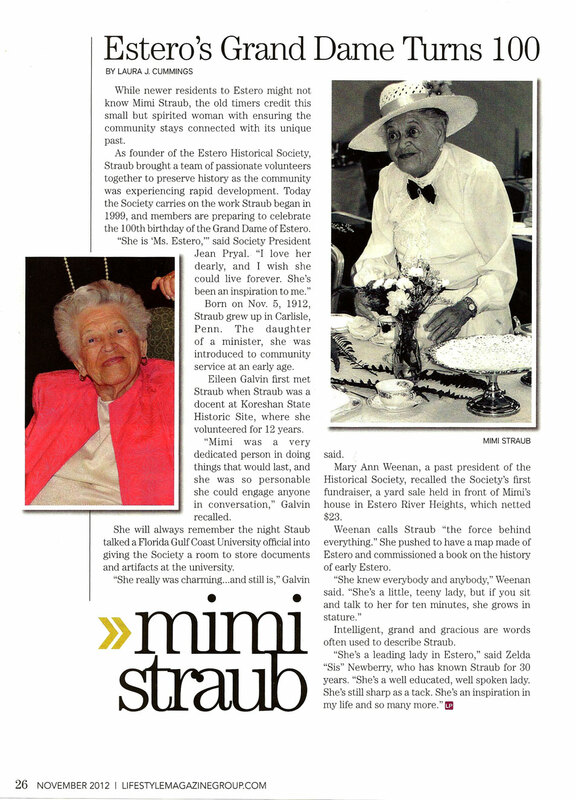 Over the years, the Horne family of Estero provided three managers to the extensive Floweree Groves. John Horne’s 1916 home is still on Sandy Lane. 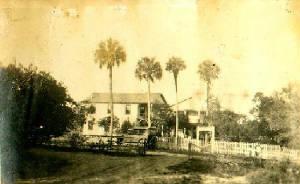 Portuguese and Spanish fishermen settled on Mound Key in the 1890’s and later built homes on Highlands Avenue, circa 1919, so their children could attend school. The early homes of the Fernandez, Alvarez, and Soto families remain. 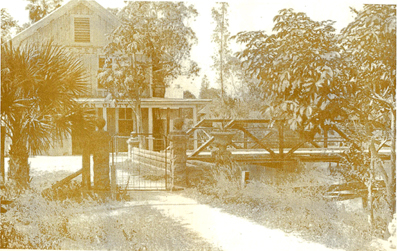 The Estero Creek School (ca. 1904-1927), on today’s Highlands Ave, has been donated to the Historical Society along with the neighboring ‘Collier House’ (ca.1906). Both buildings will be moved to the Estero Community Park as museum and Society headquarters. The Mediterranean styled Estero Grammar School (1927-1949) survives today as a handsome private residence next to the post office on Broadway. More hidden are the substantial two story Boomer and Campbell Houses, both Koreshan built in 1917. 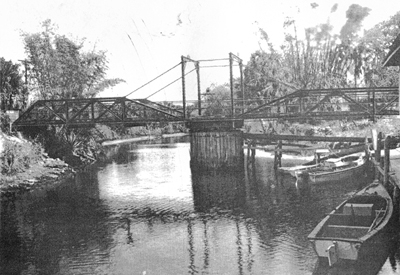 The 1920’s saw the building of the Tamiami Trail (now U.S. 41) and the construction of two railroad lines, shifting travel and shipping from the river to road and rail. The 40’s brought mosquito control and added motor home parks to the older trailer camps in the area. The first subdivisions arrived in the 50’s and 60’s. The 70’s brought the first condos and gated communities. Florida Gulf Coast University, Germain (formerly Teco) Arena and Miromar Outlets came in the 90’s, paving the way for the astounding growth we see around us today. 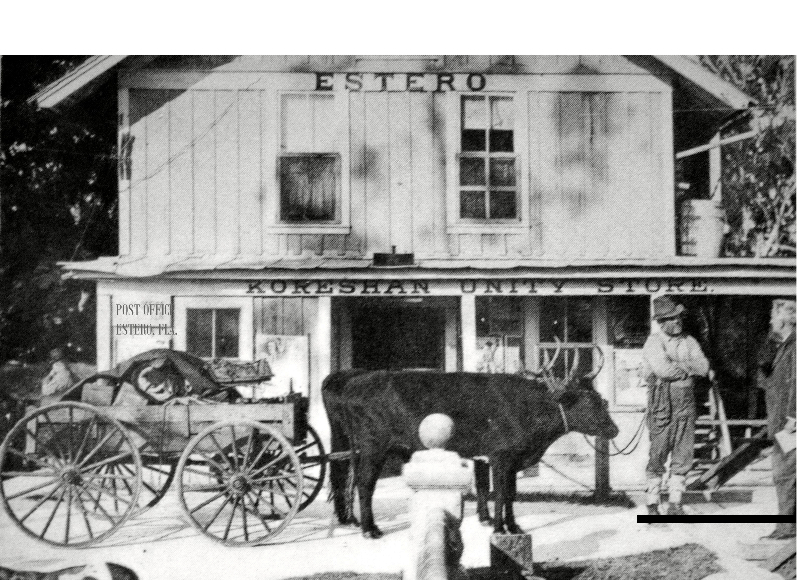 Bits of Old Estero are found on Highlands Ave, Sandy Lane, Broadway and the River. We wish to inform and involve others in finding ways to preserve our natural and historic heritage.